Gain the security and peace of mind you've been longing for! Safeguard your life against the unexpected! In this revolutionary program, acclaimed author, lawyer, and speaker Thomas Schweich will walk you through every professional, financial, and personal challenge that you could possibly face. Gain the security and peace of mind you've been longing for! Safeguard your life against the unexpected! In these turbulent times, you can have a sense of security that will resonate through your life. In this revolutionary program, acclaimed author, lawyer, and speaker Thomas Schweich will walk you through every professional, financial, and personal challenge that you could possibly face. 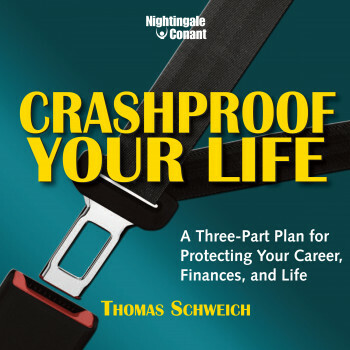 From the dangers of poorly worded e-mails to the loopholes in insurance policies, Schweich will not only warn you of curve balls that life might throw your way, but also provides the tools you can implement to avoid all of the major risks to your life.